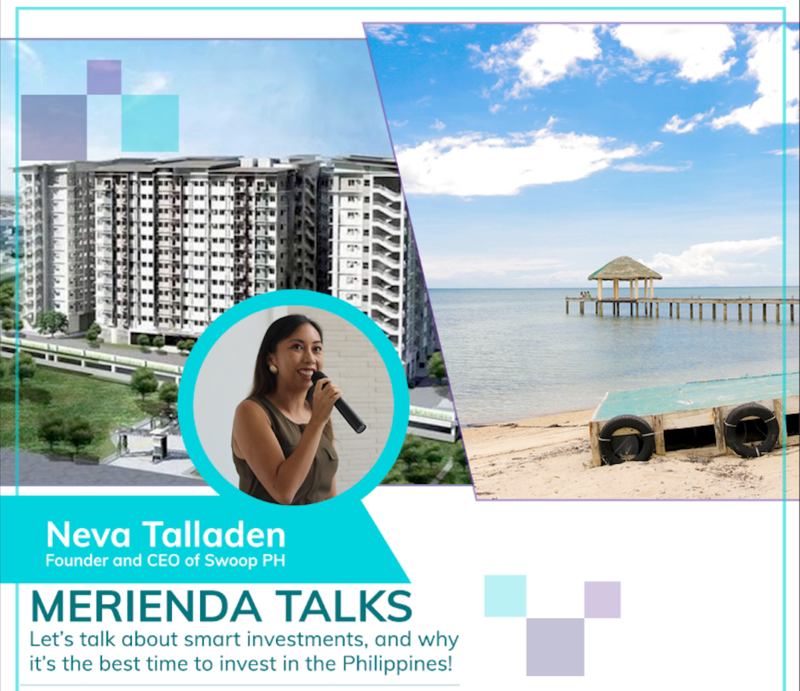 I’m Neva Talladen, founder of Swoop.ph, the Philippines’ first full-service real estate platform. My Ilongga mother used to work overseas as a nurse, and over the past 20 years, our family has invested in properties in Metro Manila and Iloilo. We’ve learned how to recognize which areas would be upcoming tourism or commercial hubs, and which ones would have the potential to still grow. We didn’t have a lot to invest when we started. But we did it one at a time, bit by bit, through financing, and now, a big part of our freedom to travel, and to be full-time entrepreneurs owes to our decision to allot part of our income to invest in real estate. The Philippines is Southeast Asia’s best-kept real estate opportunity right now. It’s at a stage where it’s still approaching its peak. In fact, this year, I’ve made it a point to invest again in a couple of properties (so did my parents and brother!). Why? The Build-Build-Build program is fast-tracking international airports, super highways, mega bridges, transportation, IT parks and cities. It’s currently a seller’s market for secondary properties, and will remain so for years as demand and local spending power increases — the faster I become an owner, the faster and better I can earn! With 15 million global Filipinos and a stronger spending power for the middle class, local demand for property is soaring, and not just for the Central Business Districts! Foreign investment program favors foreign nationals who purchase Philippine property, so my market is not limited to locals. Financing options are now more flexible for both locals and foreign nationals alike! …and still, the Philippines general price per square meter is the lowest among its SEA neighbors! But you know what? The reason I believe in the Philippine potential is because the warm, hospitable and incredibly talented people, and the unrivaled, diverse natural beauty (fine white sand beaches! mountains! surf towns! large lakes and rolling hills! forests!) make it such an enriching life experience. Even with its pros and cons, it’s simply a wonderful place to live in. As they say, it’s more fun in the Philippines! If you’re interested to know what I invested in (and how I’ll manage it for good returns), and where my family and I see the next big thing happening — and how you can do the same at a very affordable payment plan.